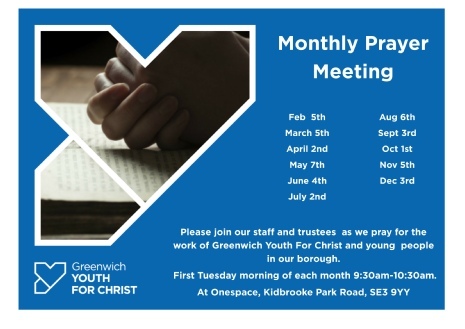 Greenwich Youth for Christ (GYFC) has been working with young people in Greenwich for over 21 years. The ministry is supported by local churches and THE GYFC vision is “loving young people and meeting their needs”. To find out more about this exciting ministry visit the greenwichyfc web site by clicking on the logo.